Sean Gertner has more than 27 years of experience handling a wide array of civil, commercial and administrative matters for his clients. He currently focuses his practice on issues involving municipal zoning, commercial transactions and litigation and elder law. Born and raised in Lakewood, he has devoted his career to serving the citizens of Ocean and Monmouth counties. Sean has served as the Municipal Attorney for Lakehurst Borough since 2001 and the Zoning Board Attorney for Jackson Township since July 2006, roles where he finds his degree in Urban and Environmental Planning from the University of Virginia quite useful. 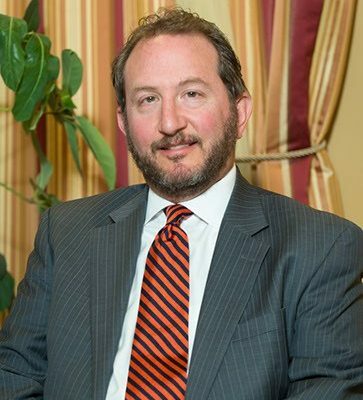 He has also served as the Municipal Attorney for Point Pleasant Beach, and has served as a Public Defender and Conflict Public Defender in several Jersey Shore municipalities. Sean serves as the Patient Advocate for Ocean County and is an approved defense attorney for the Municipal Joint Insurance Fund and has served as defense counsel. He often serves as a temporary guardian or court-appointed counsel for those in need of guardianship services and elder law and is well acquainted with the needs of such clients for estate planning and litigation. When advising on commercial transactions on behalf of business entities and individuals, he is well versed in the complexity of issues faced and focuses on liquor license transfers with his knowledge of state and local government. Throughout his career, Sean has been able to not only provide these entities with general legal services, but also defend their interests in civil claims and assist in administrative actions. He has also represented both plaintiffs and defendants regarding workers compensation, personal injury and contractual claims. Serving the community, he currently chairs the Ocean-Monmouth Legal Services. Admitted to bar 1990 New Jersey and Virginia; 1991 Maryland and the District of Columbia; 1994 United States Supreme Court. Education: University of Virginia (B.C.P. 1987); University of Virginia (J.D. 1990Member: American, New Jersey and Ocean County Bar Associations. Jerome Gertner was born Elizabeth, N.J. and was admitted to bar in New Jersey in 1962 and to the United States Supreme Court in 1994. He was educated at Rutgers University (B.A. 1959) and the University of Virginia (B. Laws. 1962). Jerome is the former President of the American Judges Association (1989). He is also a retired Municipal Court Judge, Ocean County (1978-2000) and the former State Commander Jewish War Veterans (1973). In addition, Mr. Gertner served as Notes Editor, Court Review. He is a member of the New Jersey and Ocean County Bar Associations.